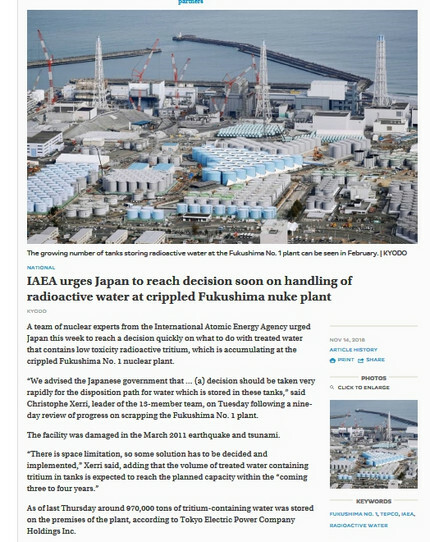 ・　“We advised the Japanese government that … (a) decision should be taken very rapidly for the disposition path for water which is stored in these tanks,” said Christophe Xerri, leader of the 13-member team, on Tuesday following a nine-day review of progress on scrapping the Fukushima No. 1 plant. ・　“Our review was not to advise the Japanese government on one solution or another one,” he added.